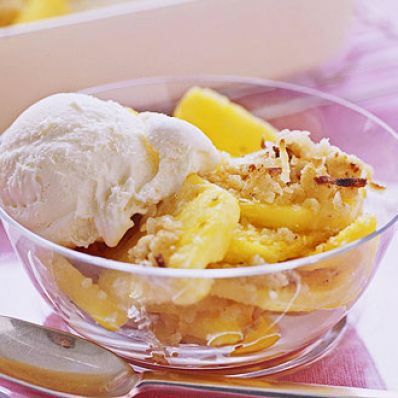 The fresh pineapple and mango require no baking, making this a great summertime dessert. The fruit crisp is broiled briefly--just enough to warm the fruit and crisp the cookie crumb topping. 1 of 3 Heat broiler. In medium bowl, combine crushed cookies, coconut and brown sugar. With fork, stir in melted butter; set aside. 2 of 3 Cut pineapple lengthwise in half. Cut into 1/4-inch slices; cut each slice in fourths. Cut a slice from each side of mango pit. Peel mango pieces; cut into 1/4-inch slices, then cut each in half. Combine pineapple and mango slices, brown sugar and lime juice; toss well. 3 of 3 Coat 2-quart shallow oval baking dish with nonstick cooking spray. Turn pineapple-mango mixture into pan. Broil, 4 inches from heat, 5 minutes. Remove pan from oven; evenly sprinkle on cookie crisp topping. Broil 1 to 2 minutes more, until lightly golden. 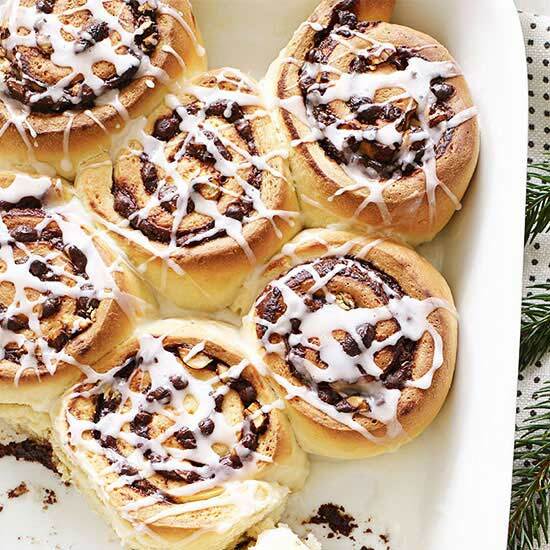 Serve with ice cream, if desired. Makes 8 servings.